It took more than a month to get my washer repaired. Finally after waiting for approvals and parts, the washer got “repaired” but found out the washer worked sometimes only on Normal cycle. There is a noise on the motor, delivers and dumps lots of water without washing, and the top control panel plate is loose. Did not expect that from professionals. Excellent repair experience.reliable and punctual. My repair took two trips. The washer was fixed and Mr. Preston even swept la huge pile of leaves out from under my outdoor washing machine. Chris did an amazing job with the utmost professionalism! The repair man was clean, professional and personable. He explained to me what he was doing and when he had a problem he was honest and let me know what he was going to do. In the end it was fixed. Very knowledgeable, professional, knows his business, heard the noise knew exactly where to go. Could not have had a better experience! Again I requested a copy of the work report from the technical service person and I have not received any response regarding the paperwork.. The service tech called prior to arrival, showed up on time, was polite, and quickly found and resolved the issue. The service technician was prompt and explained about the services that were needed. REFRIGERATOR MAYTAG MSC21C6MFZ00 "showed is delivering ice fine., i frsch food door bin crack-installed the broken door bin." REFRIGERATOR WHIRLPOOL n/a was loosing water pressure cause there was some dirt at hose from wall to refrig and lubricated 1 f.f. door cause it was noisy. REFRIGERATOR WHIRLPOOL n/a "replaced water filter, that customer provided it hard to come out." DRYER MAYTAG MEDB850WB0 "found f-28 open or shorted moitsture sensor, test sensor checked ok. replaced bad thermistor causing automatic drying issues working ok.; used 1 WP8577274 (THERMISTOR) from stock"
WASHER AMANA NTW4516FW3 "replaced basket with rust stains, ran thu test & diagnostics working ok."
REFRIGERATOR KITCHENAID KRSF505ESS01 ice maker not dropping the ice-replaced ice maker. WASHER MAYTAG MVWC565FW1 "replaced bad motor capacitor, no motor movement , ran test recalibrated working ok."
DRYER WHIRLPOOL WGD6200SW0 "replaced broken door catch, unit working ok."
WASHER WHIRLPOOL WFW9550WW00 "removed debris from drai pump ran test working ok. advised cust pump may need to be changed in near future, working now cust ok with it." DRYER WHIRLPOOL WGD5000DW3 "found mesh on vent hood causing poor drying performance, removed mesh for cust, ran test on dryer heating ok."
MICROWAVE KITCHENAID KMBS104ESS02 replaced lower cavity thermostat and tested for heat. REFRIGERATOR MAYTAG MSC21C6MFZ00 "showed is delivering ice fine., i frsch food door bin crack send one. ; ordrng 1 dsW11223831 (f.f. door bin.)" DISHWASHER KITCHENAID n/a "found dispenser door sticking not allowing soap to enter tub, made adjustment to door to open properly, ran thru diagnostics, working ok."
DRYER MAYTAG MGDB835DW3 "replaced burnt outlet grill causing clothes to stain, ran test working ok."
WASHER MAYTAG MVWB835DW1 "replaced bad inlet water valve no hot water comming into washer, ran test recalibrated working ok.; used 1 W11165546 (WATER VALVE) from stock"
DRYER MAYTAG MGDB835DW3 "found black marks on grill causing clothes to get damaged when dryer is hot, needs grill replaced. also advised cust to change exuast line, had lots of lint inside. ; ordrng 1 W11129538 (duct-air)"
REFRIGERATOR KITCHENAID KRFC704FSS00 it had a wrong fill tube the heater connector was wrong replaced ice maker got water. 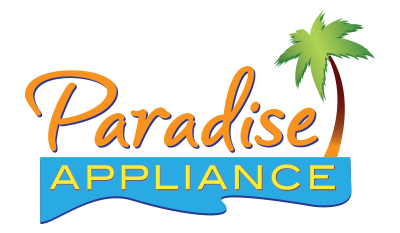 WASHER WHIRLPOOL n/a "cust concerned with fan fresh cycle on all the time after wash cycle, explained feature to cust, that it was turn on & needs to be off before starting a cycle, ran test working ok."
REFRIGERATOR WHIRLPOOL WRS315SNHM00 "evap. ice up again per tech support to replace the temp. control and gave me a SR, SR#7724348077 replaced temp. control"